Our purpose is "Protecting What's Important to You." 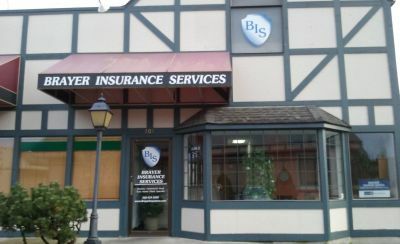 We opened Brayer Insurance Services in 2008, in Mount Vernon, WA and are proud to be an independent insurance agency. As such, we're not tied to a single insurance company. We write with many of the best insurance companies, offering you the best in service, price and coverages. Let us do the "shopping' for you to find the right insurance policy for your needs, at the lowest price. We're thankful for our customers and the confidence and trust you have placed in us! Our independent agents are pleased to provide insurance services to the communities of Mount Vernon, Anacortes, Bellingham, Burlington, Marysville, Sedro Woolley, Stanwood, WA, and throughout the beautiful state of Washington. Whether you need insurance to protect your business, home and family, or property like your cars, a boat or motorhome, having a knowledgeable insurance agent is so important! That's why we're committed to each of our agents attaining and maintaining the Certified Insurance Counselor (CIC) or Certified Insurance Services Representative (CISR) designation. Our agents are well equipped to identify your potential risks and offer the proper coverages and options you need to protect the people and things that are important to you. We're happy to answer any of your insurance questions and would love the opportunity to assess your personal or business insurance needs. Please give us a call at 360-424-3000 or contact us through one of our insurance quote forms. 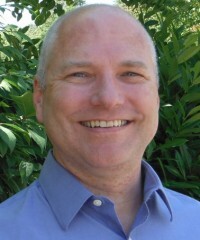 Darrell is a National Alliance Certified Insurance Counselor (CIC) with over 21 years of experience as an insurance agent. He loves the insurance field and calls himself an "insurance nerd." 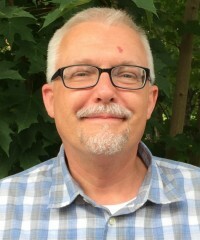 Darrell loves spending time with his wife, Carrie, of 32 years, their two adult children, and the family beagle, Lucy. He also enjoys woodworking, relaxing next to his fire pit, and all things "Star Wars." 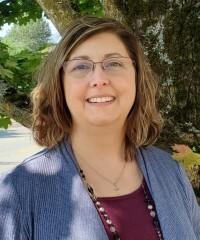 Sky is the office manager and a commercial insurance agent, with over 14 years experience as a licensed insurance agent and a total of 23 years in customer service. She loves spending time with her husband, their two daughters and their awesome dogs, Shamia and Mutly. Sky and her husband enjoy working together. Lorena is a commercial insurance agent and joined the agency in 2018. She has 10 years as a licensed insurance agent. Lorena loves to spend time with her family, her lovely children, and serving in her church. Scott is a Personal Insurance Agent, who joined the agency in 2015, after having worked in retail, manufacturing and sales. He is currently working toward his National Alliance CISR designation. Outside of work , Scott's interests include spending time with his wife and family, car shows, and antique and replica duck decoys. 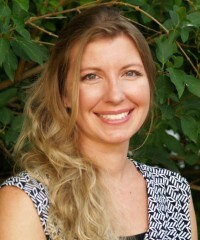 Carrie is the agency's bookkeeper and social marketer. She's also been married to Darrell for over 32 years! Carrie enjoys spending time outdoors with her family and friends. She's currently sorting through and organizing years of photos. Shamia — Office pup & spreader of joy! 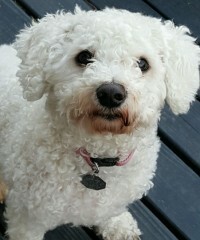 Shamia is Sky's happy and precocious bichon frise who resembles a cotton ball when she's overdue for a trim. She enjoys her position as the official office pup. Shamia loves coming to the office to get some relaxation time and belly rubs from her "co-workers." When not in the office spreading joy, she lives with Mutly and her human family and loves playing and taking long naps.